You can get it from http://tortoisesvn.net/downloads. When you finish installing TortoiseSVN, please restart your computer. It can be found on DRD Team’s site http://svn.drdteam.org/vavoom/. Download the “LATEST” revision from there and write down where you have downloaded it, we’ll unzip it later in the process. You can get the file from https://sourceforge.net/projects/korax/files/ (koraxrpg_src.zip). Once you have downloaded the file, you can Unzip inside a folder in your HD. Now, you will need to download most of the resource files from our SVN repository using TortoiseSVN, to do this you will have to left click on the ”’koraxrpg”’ folder inside the ”’code”’ folder and from the contextual menu choose the ””’SVN Update””’ option, this will display a window where you will see all the missing files being downloaded, once that’s finished, go inside the ”’progs”’ directory and run the ”’compile.bat”’ file, it might take a while to build everything, but once that finishes, you will find everything correctly compiled inside the ”’bin”’ folder of the distribution. Finally, just unzip the Vavoom SVN revision binaries to the ”’bin”’ folder of the source code distribution pack. And this covers the compilation process of the source code distribution pack. This information is more related to the developers of the project, if you make any changes to the source files, the overlays on the folders will change from green color to red color (on the modified files), to submit these modified files, you must have a SourceForge.net account and be listed as a developer of the project in the project’s page in SourceForge.net, if you don’t have any of these and you really need them, ask Ramborc or Firebrand for help. If you have an account in SourceForge.net, you might right click on the ”’koraxrpg”’ folder inside the ”’code”’ folder of the source distribution pack, and then select the ”’SVN Commit…”’ option on the contextual menu from TortoiseSVN, it will then ask for your username and passwords, use the same username and password from SourceForge.net and it should work fine. No need to add -opengl, it will default to it. 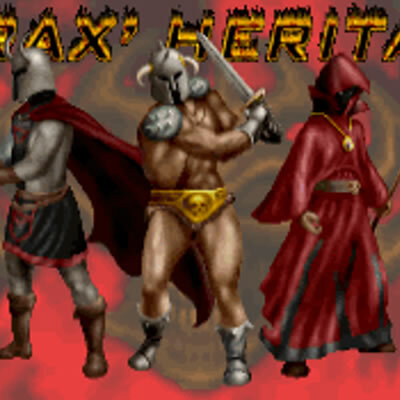 In the Korax Arena and Korax RPG TCs new action specials are introduced. All of them have identifier values greater than 255 to ensure none of them duplicate common ones from Vavoom. Unfortunately the original script compiler (ACC) stores action special as single byte, which does not allow to use those with identifier >255. We solved this problem by modifying ACC. New ACC stores action special in two bytes instead, so action specials can have identifier values up to 65535. If you are not going to use new action specials in your map(s) you may still use original ACC, otherwise you’ll have to get new ACC. Currently it is included in the Korax Arena Editing package (available for download from our SourceForge account).